2005-present: Founder/Director ACCESS ADVENTURE, an all-volunteer program enriching the lives of people with disabilities and other under-served members of our community by providing outdoor recreation, open space access, education and therapy through a working partnership with horses. This is America’s premier therapeutic driving program serving hundreds of participants each year. 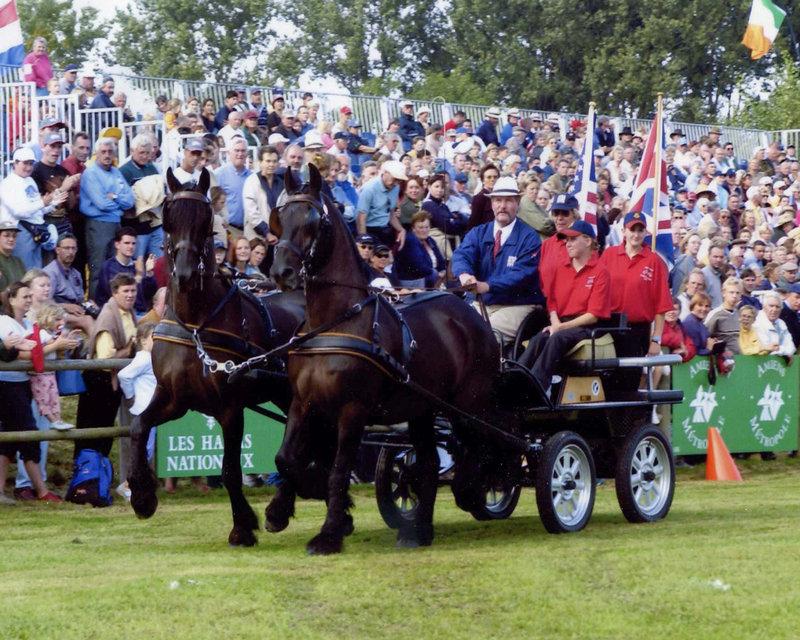 2001-2004: President, UNITED STATES DRIVING FOR THE DISABLED, Inc.
2004: WORLD CHAMPIONSHIP FOR DRIVERS WITH DISABILITIES, Pairs, Individual Bronze (Grade I), Scotland. 2003: THOUSAND MILE JOURNEY TO THE GULF, drove wheelchair carriage with Cindy Goff from Louisville, Kentucky to Cedar Key, Florida. 2002: HORSEJOURNEY EUROPE, France, Belgium, the Netherlands, Germany. 2002: CRITERIUM INTERNATIONAL, Champion, Pairs (Grade I). Amiens, France. 2001: JOURNEY ACROSS AMERICA, led an international team of equestrians with disabilities on a ten month, 3400 mile journey from California to Washington DC, driving wheelchair accessible horsedrawn carriages. 2000: WORLD CHAMPIONSHIP FOR DRIVERS WITH DISABILITIES, Champion Obstacles (Grade I) Austria. 1998: WORLD CHAMPIONSHIP FOR DRIVERS WITH DISABILITIES, Team Bronze, Germany. 1989-present: founder, STONEWALL STUD, developed and campained the Stonewall Sporthorses. 1987-1988: carriage program director, KAUAI LAGOONS, the largest commercial carriage program in the world, with more than 100 horses in harness. 1973-1986: founder, ALLENDALE FARMS, breeder of world record holders racing and National Grand Champions in the United States, Canada, New Zealand and Australia. First Appaloosa stallion to earn $1Million, first Appaloosa stallion to earn $2Million. Many times leading sire. 1965-1972: founder, SUN VALLEY RANCH, breeding and showing Appaloosa horses.